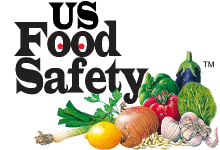 US Food Safety Corporation offers professional HACCP audits for supermarkets, food manufacturers and food processors. An audit will examine your plans and facilities to provide management with an informative report, and recommendations, related of the safety and integrity of food processing at your plant. Contact us to discuss your HACCP audit needs.